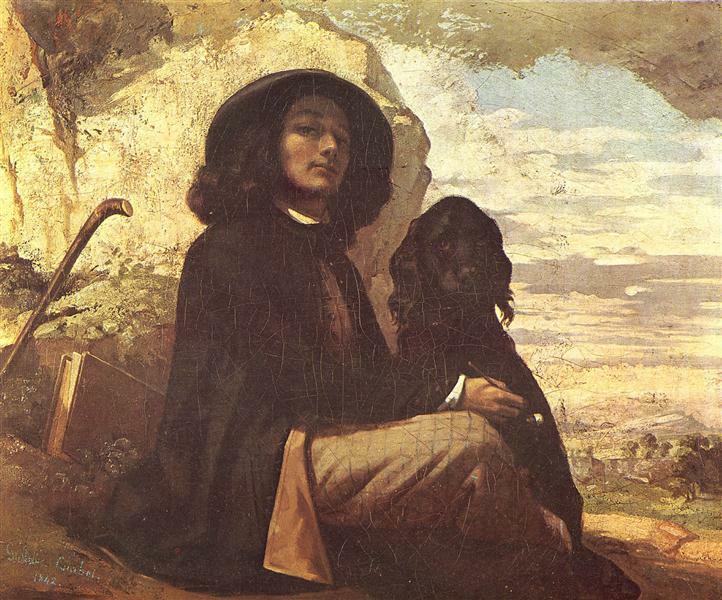 Many of Courbet’s early paintings from the 1840’s are self-portraits, such as this one. 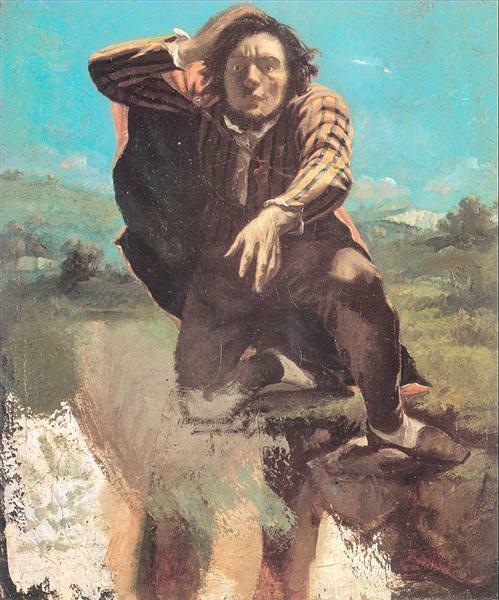 As he had yet to truly develop his realistic painting style, many of these self-portraits are Romantic in style, illustrating the smooth lines and perfection of form of the Romantic school of painting. 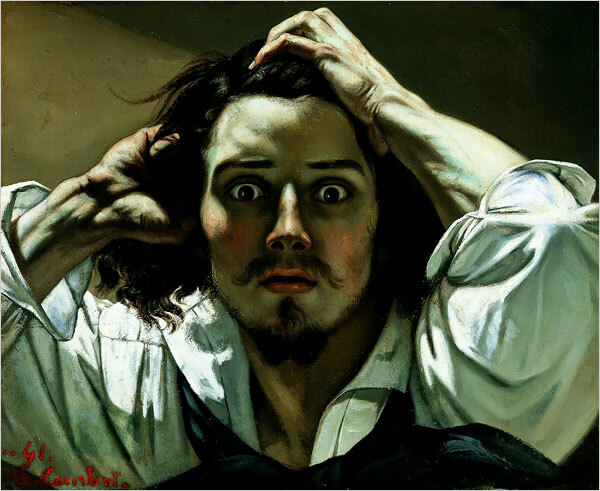 As a method of self-promotion and advertisement, Courbet made an impression with his self-portraits, and used them to find his own artistic style. 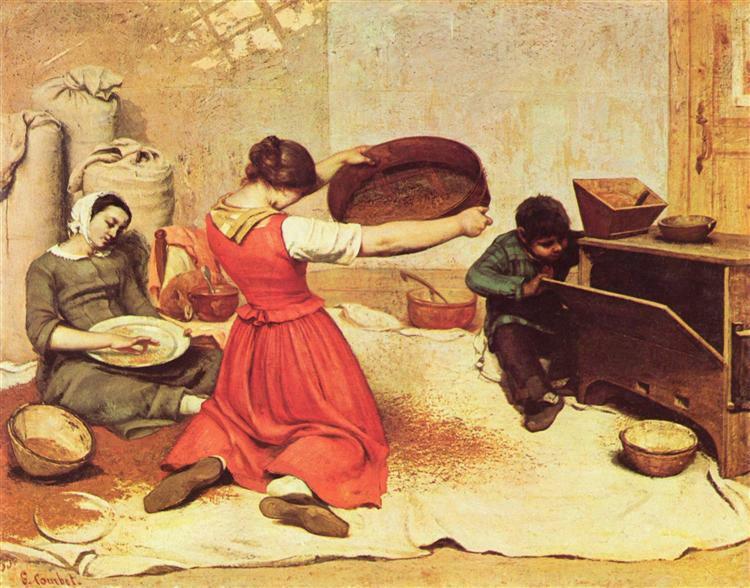 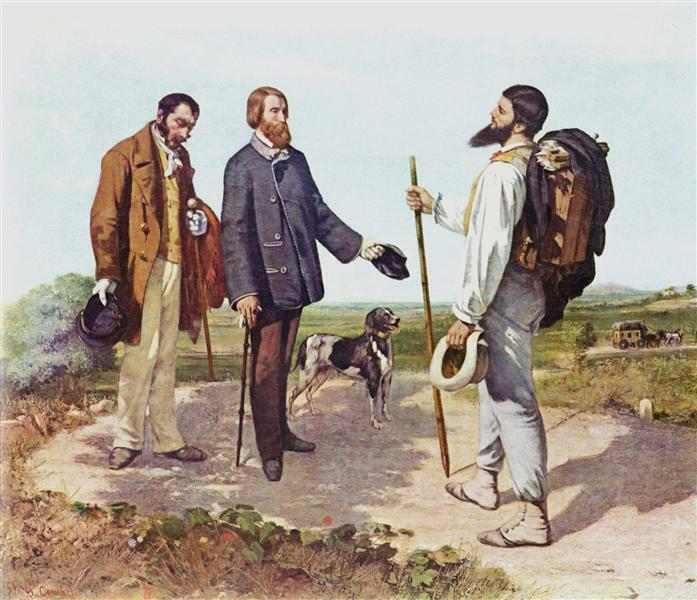 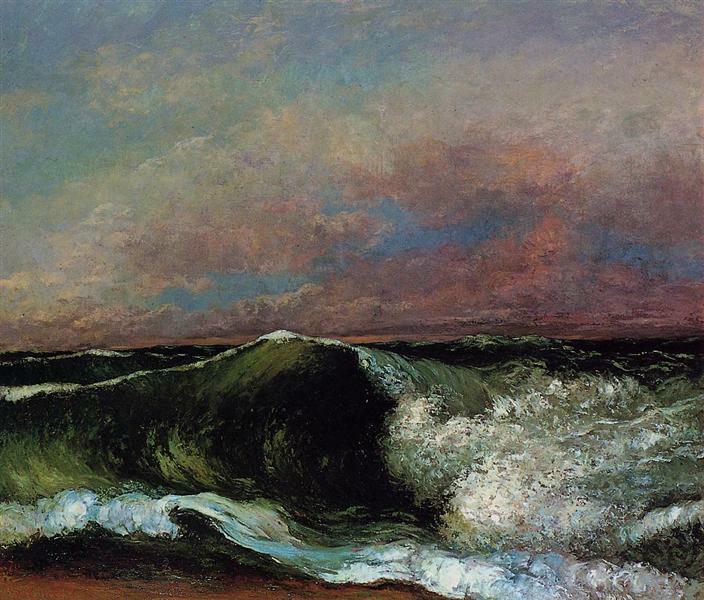 After this period, Courbet became convinced that painters should illustrate the world around them as they see it and his realistic work in the later 1840’s gained support among younger realist and neo-romantic painters.